A group of researchers from Princeton University and Florida International University have warned that China possesses sufficient Bitcoin hashpower to threaten the integrity of the cryptocurrency. Separately, U.K.-based Juniper researcher Windsor Holden has claimed that crypto markets are about to “implode.” In his forecast, Windsor has cited various factors, such as low transaction volumes and a failure of crypto to rally during the Brexit troubles. Robert Sluymer, technical strategist at Fundstrat Global Advisors, has asked investors to wait for the trend to change before committing any money to Bitcoin. Let’s see what our charts forecast. Bitcoin is still in no man’s land. Both moving averages are flat and the RSI is also at the midpoint. The attempt to break out of the downtrend line on Oct. 8 was thwarted by the bears. Today, the BTC/USD pair has shown some weakness, but buying at lower levels has again propped the prices back to the moving averages. 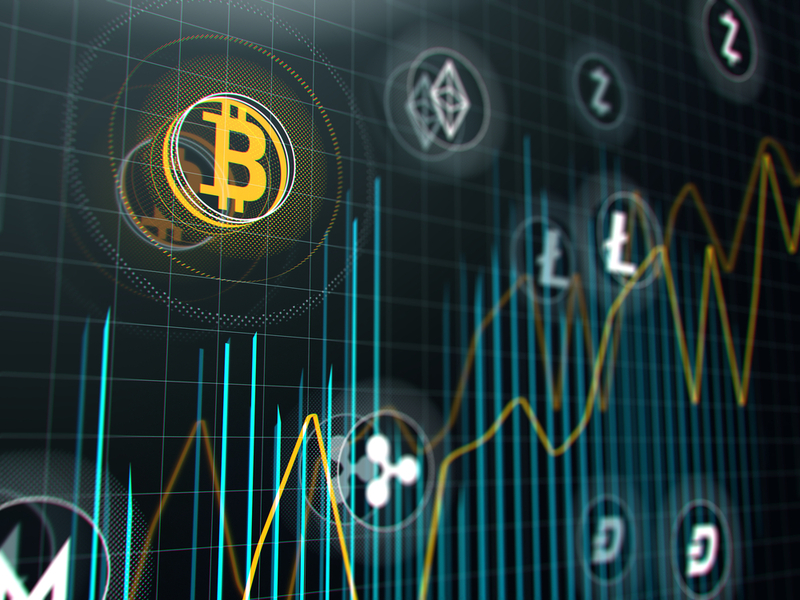 The cryptocurrency will pick up momentum on a breakout and close (UTC time frame) above the overhead resistance of $6,831.99. After a period of low volatility, we expect the volatility to increase following a breakout or breakdown. Hence, if the bulls succeed in breaking out, the rally might go beyond the first target of $7,400 and reach as high as $8,450. On the downside, Bitcoin will plunge if the bears succeed in breaking below the critical support zone of $5,900–$6,075.04. Therefore, traders should keep the stops on their long positions at $5,900. Ethereum continues to trade close to the midpoint of the $200–$250 range. There haven’t been any noticeable attempts either by the bulls or the bears to break out of the range. The longer the ETH/USD pair remains in the range, the stronger will be the eventual breakout. It is difficult to predict the direction of the next move. Therefore, traders should wait for the price to break out and close (UTC time frame) above $250 before attempting to enter any long positions. On the downside, the pair will retest the lows if the bears break down of $200. Ripple is unable to climb above the 20-day EMA, which is a negative sign. It has a minor support at 61.8 percent Fibonacci retracement levels of $0.45832, below which, it can fall to $0.4 and lower. The short-term moving average has turned flat and the RSI has dipped below 50 levels, showing that there is selling pressure in the near-term. Unless the bulls quickly push the price above the 20-day EMA, a fall to the 50-day SMA is imminent. The XRP/USD pair will show signs of strength above $0.55 and the uptrend might resume if it sustains above $0.625. Traders should protect their positions with the stops at $0.42. Bitcoin Cash has again dropped back to the moving averages, after falling to sustain the bounce on Oct. 9. If the bears push the price below the moving averages, a retest of the lows at $408.0182 is likely. The BCH/USD pair will become negative if it breaks down of the Sept. 11 lows. Traders should keep a stop loss of $400 on their long positions. On the upside, the bulls will gain strength above $600. EOS attempted to break out of the symmetrical triangle on Oct. 8, but has not seen any follow-up buying in the past two days. If the bulls close (UTC time frame) the price above the triangle, the pattern target is $9 with minor resistances at $6.3 and $6.83. Traders can maintain their stops on the long positions at $4.9. If the EOS/USD pair turns down from the current levels and breaks below the moving averages, it will indicate selling at higher levels. A break below $5.5 can result in a drop to $4.493. The bulls haven’t been able to push Stellar above the overhead resistance of $0.24987525. We now expect the bears to try and break below the 20-day EMA, which has been acting as a support for the past seven days. Below $0.235, the XLM/USD pair can slide to the 50-day SMA and below that to $0.21489857. Any break of this support will sink the virtual currency to the critical lows of $0.184. Therefore, traders should protect their positions with the stops at $0.21. On the upside, the pair will gain strength if the bulls scale and sustain above the downtrend line of the descending triangle. Litecoin has been trading close to $58 for the past six days. The moving averages are flat and the RSI is just below the midpoint. The LTC/USD pair has been consolidating in a large range of $49.466–$69.279 since Aug. 8. A break out of the overhead resistance is likely to start a new uptrend that can quickly carry prices to the $90–$94 resistance zone. If the digital currency breaks below the range, it will resume its downtrend and can plunge to new year-to-date lows. Therefore, traders should wait for the break out of the range before initiating any long positions in it. Cardano could not rise to the overhead resistance of $0.094256, after breaking out of the 50-day SMA on Oct. 8. Currently, the prices have again turned back to the moving averages. This shows a lack of buying at higher levels. The ADA/USD pair remains inside the range of $0.073531–$0.094256. A break out of the overhead resistance can result in a move to $0.11843, and a break down of the range can retest the lows. Traders should wait for a new buy setup to form before initiating any long positions. The bears are attempting to break down of the 50-day SMA and push Monero to the support at $107.8. Both moving averages are flat and the RSI is marginally in the negative zone, indicating a likely continuation of the range bound action for a few more days. A break down of $107.8 can result in a drop to $103, and further tp $96. Therefore, traders can raise the stops on the long positions to $106 – let’s reduce the risk. The XMR/USD pair can rally to $142 if the bulls sustain above the overhead resistance of $128.65. TRON failed to close (UTC time frame) above the overhead resistance at $0.02815521 on Oct. 8, attracting profit booking. Currently, the price has retreated from the top of the range and is likely to find support at the 20-day EMA. The TRX/USD pair will remain in a consolidation as long as it trades inside the $0.0183–$0.02815521 range. A break out of the range has a pattern target of $0.038 in the short-term. Support is at the moving averages and below that at the bottom of the range. The pair will resume its downtrend if the bears break and sustain below the range. Previous articleRipple xRapid might push XRP price up now. But what about the long-term?